The C.C.C. 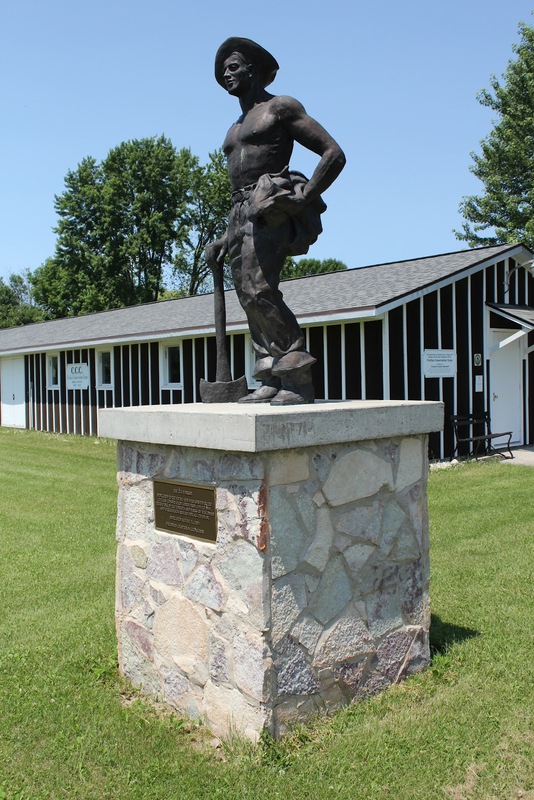 Replica Barracks are located at the Historic Galloway House & Village at 336 Old Pioneer Road, Fond du Lac, Wisconsin 54935. NOTE: The barracks are kept locked; inform the docents at the Visitor's Center when you arrive if you wish to see inside the barracks, and arrangements will be made for access. The CCC Worker marker and statue. A peek inside one of the windows . . . The long walk to the barracks . . .
C.C.C. Replica Barracks is located at Galloway House & Village.